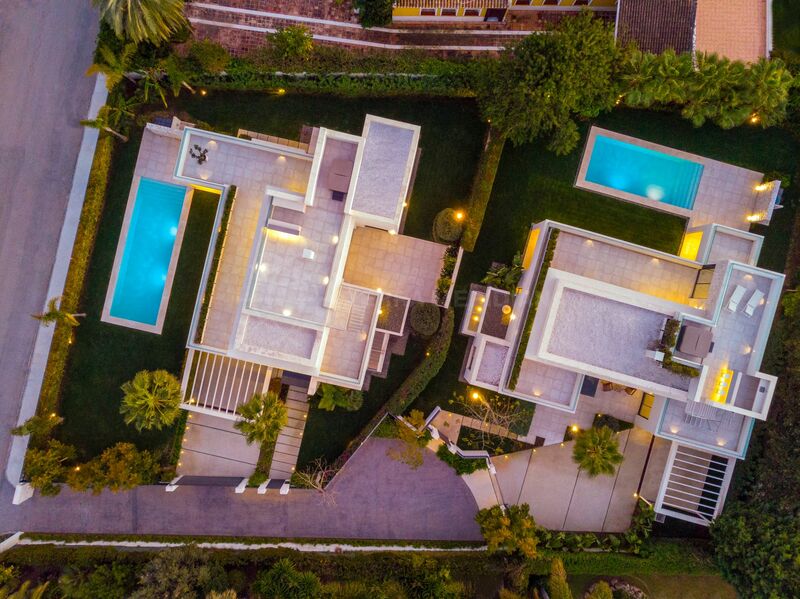 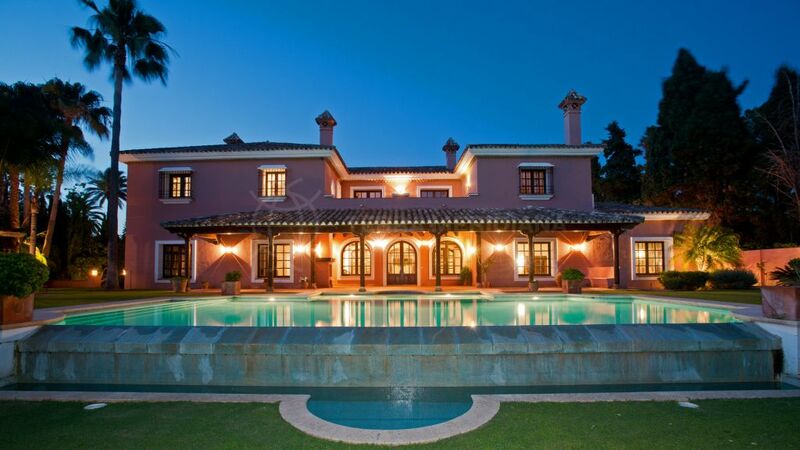 This elegant villa has been appointed with casual luxuries and exudes quality and modern appeal. 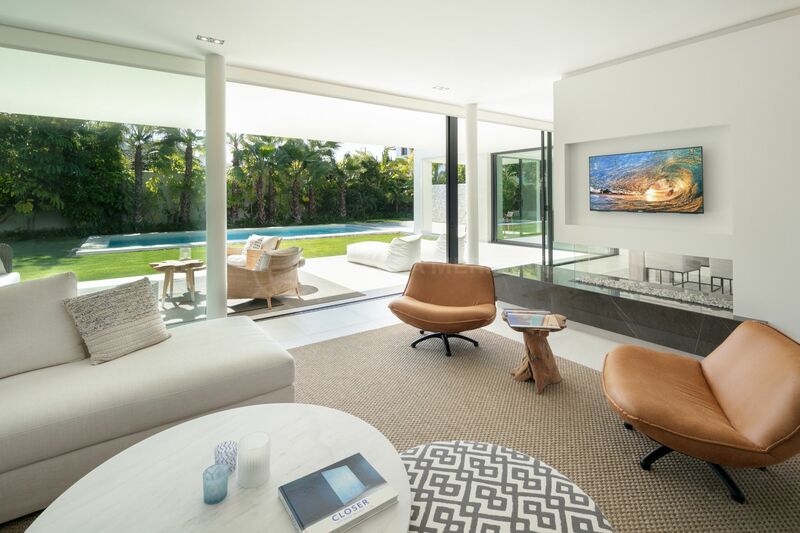 Built with the finest materials over 2 carefully planned levels the home showcases an open concept floor plan and oversized glass windows. 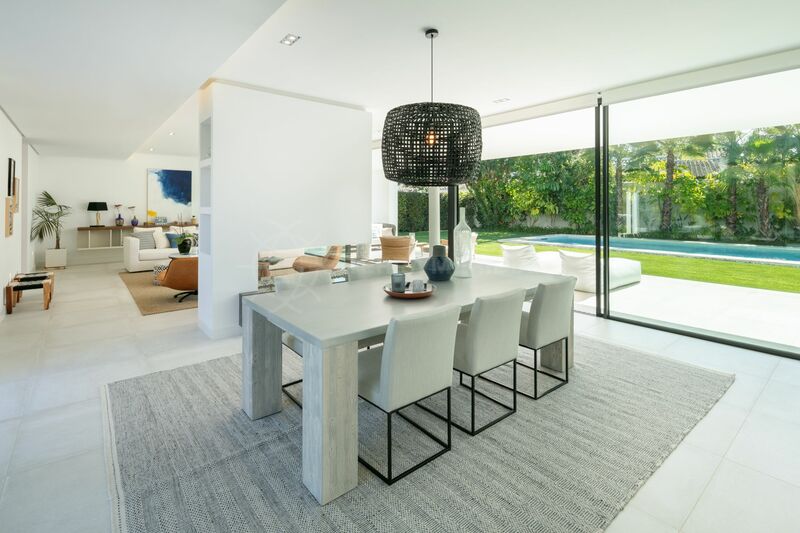 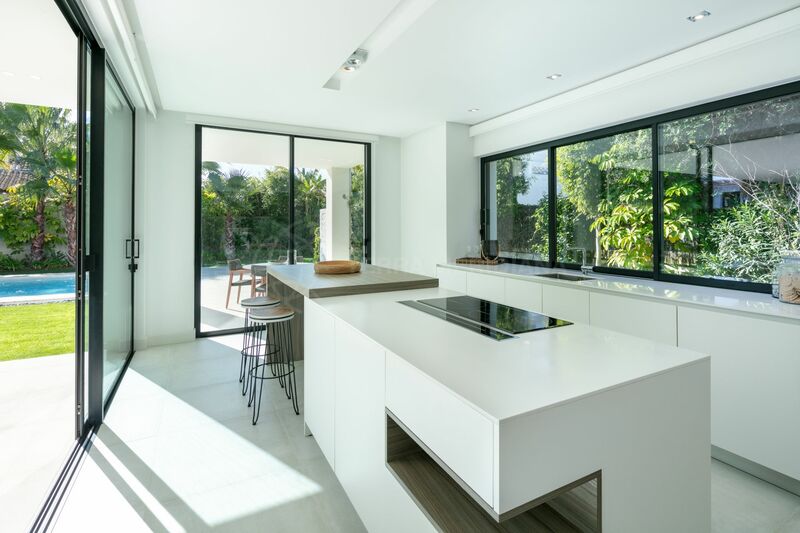 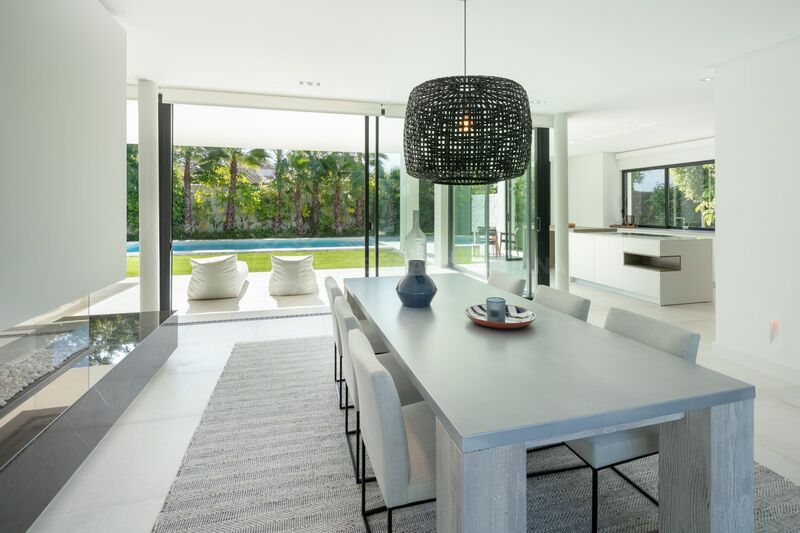 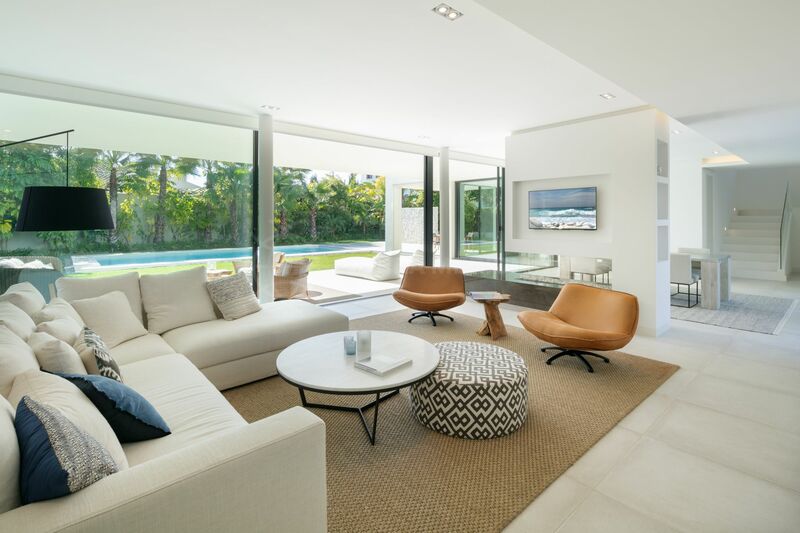 This luminous property boasts unparalleled indoor-outdoor Mediterranean living with simple lines and inviting spaces which meld to create a warm modernist home. 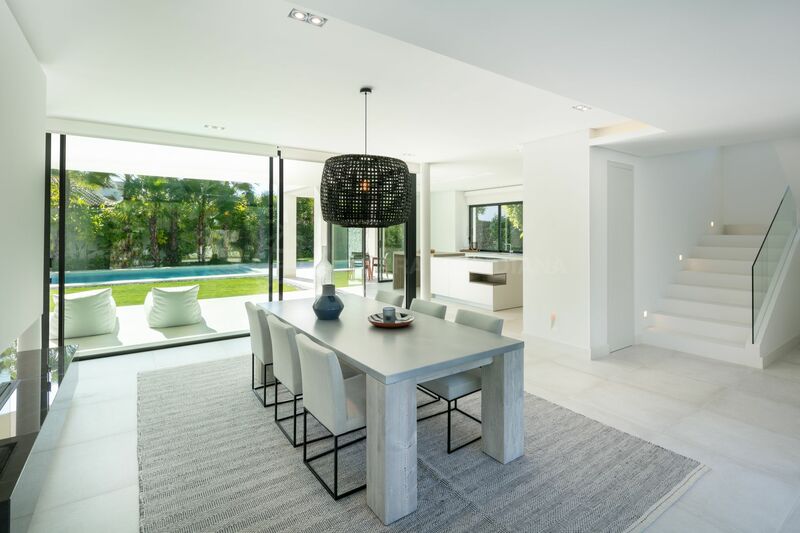 The main floor features a hallway, a guest toilet, 2 ample bedrooms suites, a large living/dining room and a fully fitted kitchen with breakfast bar. 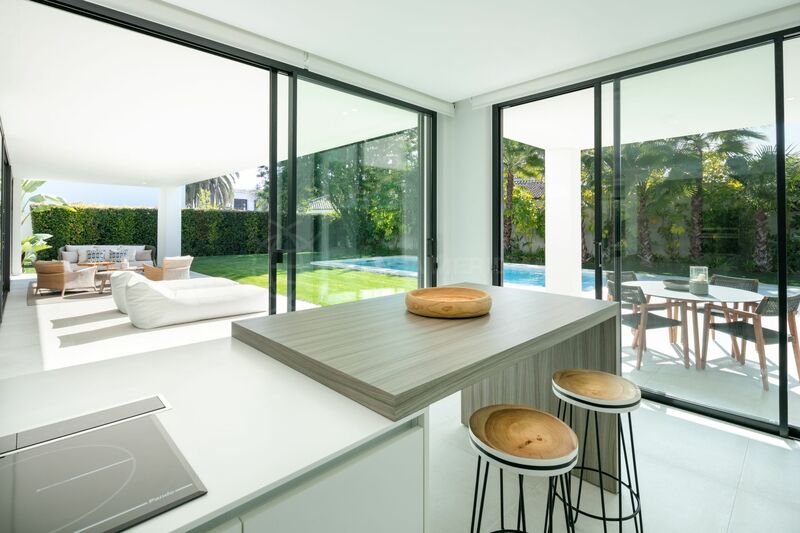 Both the living room and the kitchen offer direct access to the lush garden, sheltered terrace, outdoor kitchen and swimming pool. 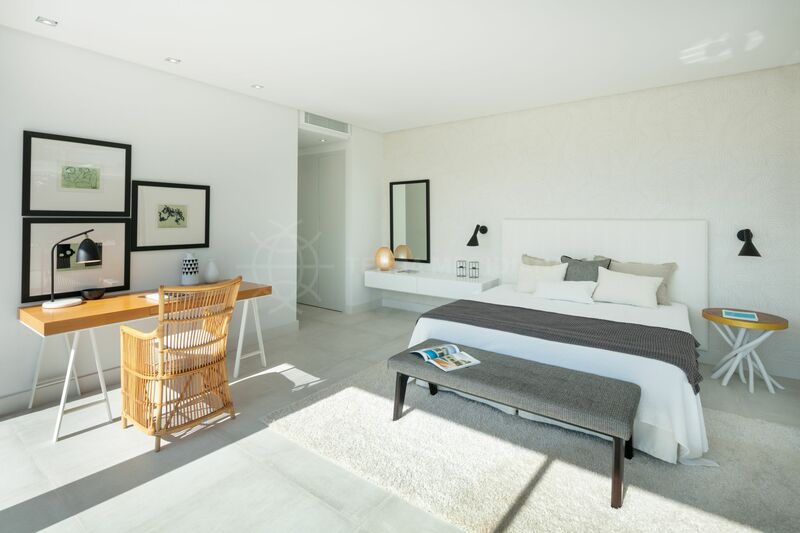 The first floor comprises a master suite with its private terrace which enjoys sea views, a guest suite, and a solarium with jacuzzi. 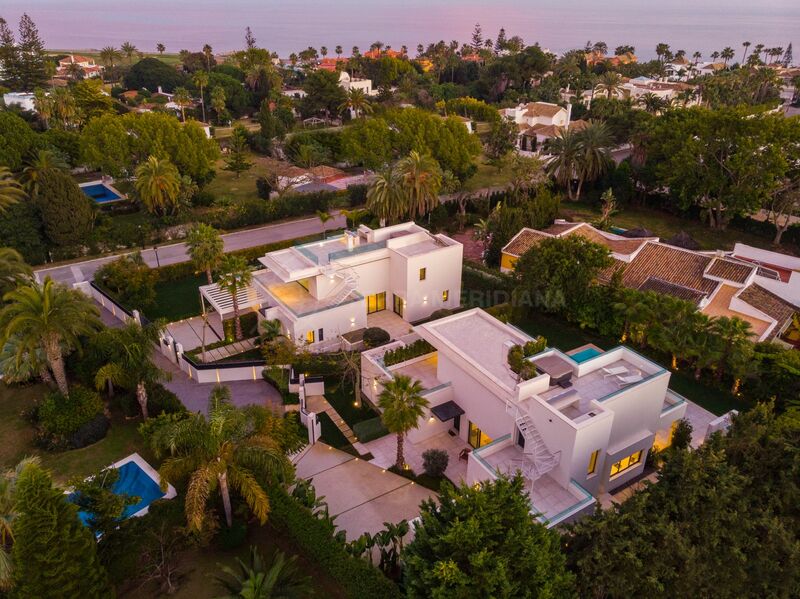 Secure and very private the villa is strategically located just a minute stroll from the beach making this a rare opportunity for the most discerning buyer. 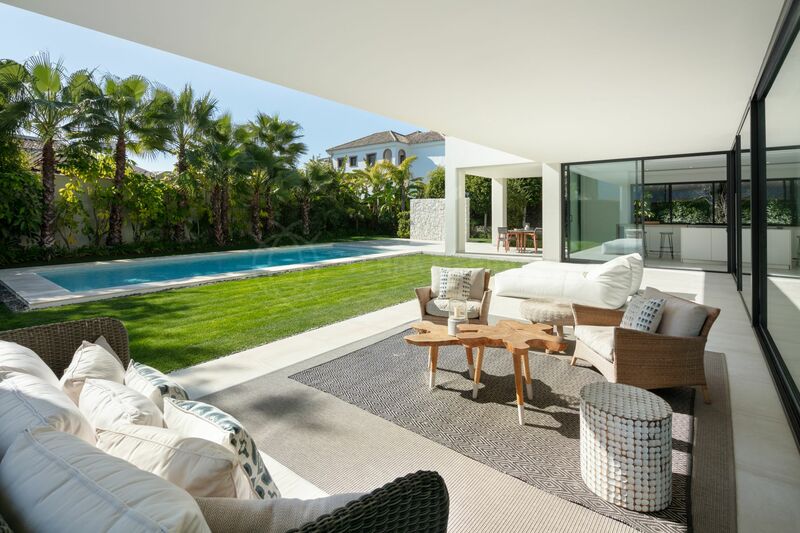 Near to the Guadalmina commercial centre with its broad range of services which include shops, cafes, restaurants, delis, a supermarket, banks, and a pharmacy. 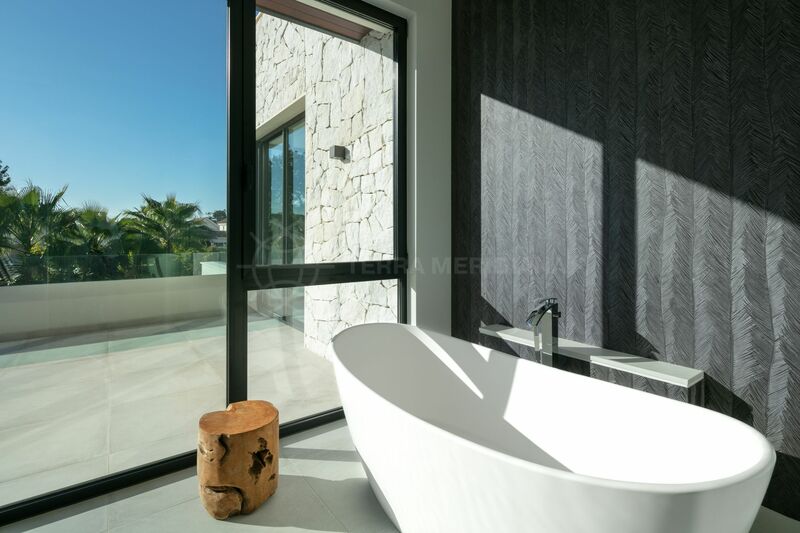 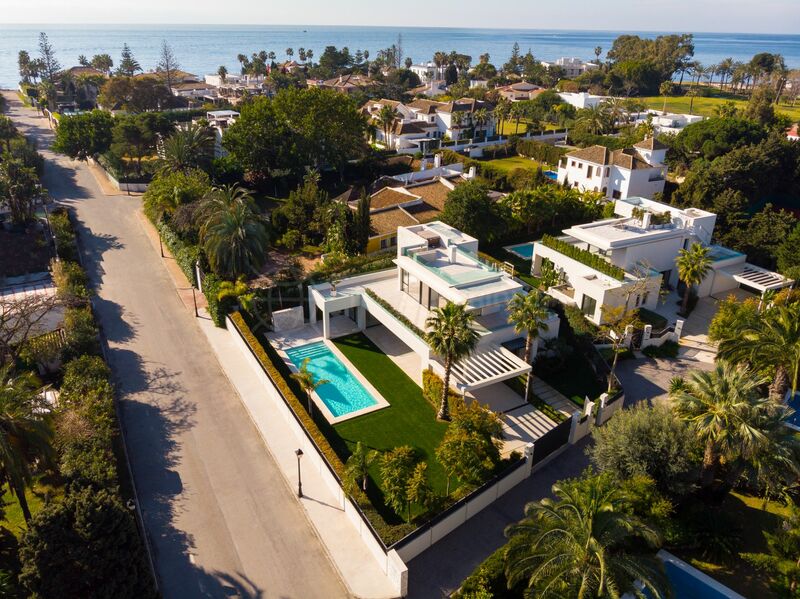 Close to the 5-star Hotel Guadalmina and various golf courses, approximately 10 minutes by car to Puerto Banus and just 20 minutes to Marbella old town. 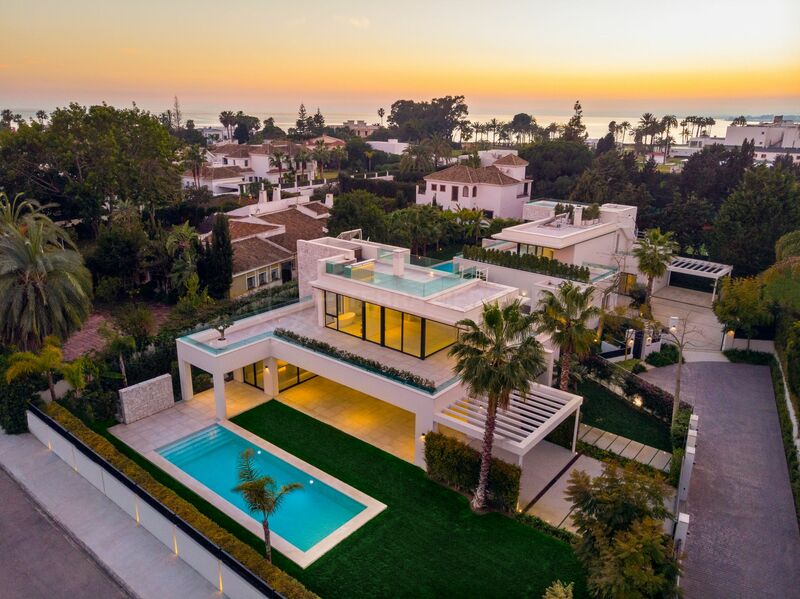 "A beachside sanctuary commanding a superior location in one of the coast´s most desirable neighbourhoods." 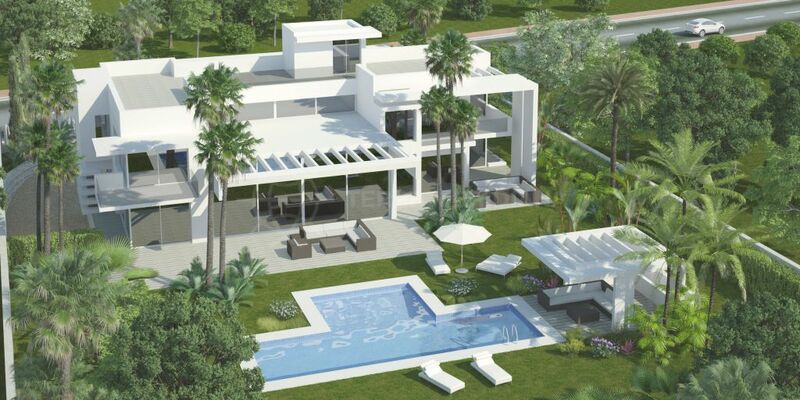 Please, send me more information about ref TMNV1027, Villa in Guadalmina Baja, San Pedro de Alcantara or similar properties.